What is it? Trapped inside the walls of soul glass in the cursed city of Shadespire, your warband searches for riches and release. Called by tales of glory and legend, you find yourself amongst the desolate street with conflict always a sharp blade edge away. Battle against foes who share your goals but not your ideals and earn glory in this miniatures skirmish game set in in the fantastical Age of Sigmar. Is Warhammer Underworlds Shadespire your magical gate into the world of miniatures gaming, or a prison you wish to avoid? I’ve always found miniatures games intimidating to approach as a novice. Board games require very little prep these days, possibly a little punching of chits, a little reading of around 12 pages of rules and then giving people a 15 minute breakdown around the table. Around the campfires I’ve heard stories about miniatures war gamers fully armed with clipper and glue assembling entire armies, painting the most minute detail with accuracy of less than 15 mm and taking household scrap and turning it into battlefields across their tabletops. I’ve heard tales of fortunes invested in a single war that’s lasted 40 000 years and battle scenarios learned that require precise distance calculations and intricate Field General type planning and knowledge of tomes and tomes of rules of engagement. These gamers are veterans who live war. But one doesn’t simply enlist, and my battle career started when I got trapped in the fallen city of Shadespire and was forced to fight my way out. Warhammer Underworlds: Shadespire is the latest skirmish miniatures game from Games Workshop set in the Age of Sigmar setting (Warhammer Fantasy). You and your warband are stuck in the fallen city of Shadespire, once a prosperous metropolis that rose from the Realm of Death. Arch Wizards created a beautiful city of Shadeglass which flourished with knowledge once they discovered the ability to store the dead inside the ornate glass found beneath the city. After stealing what was deemed to belong to Nagash, Lord of the Undead, all in the city were cursed and had all their beauty and light stolen, stuck in purgatory between life and death. Trapped inside after seeking promises of glory, your group and other parties are not accepting of your fates, and fight you shall to gain your freedom. 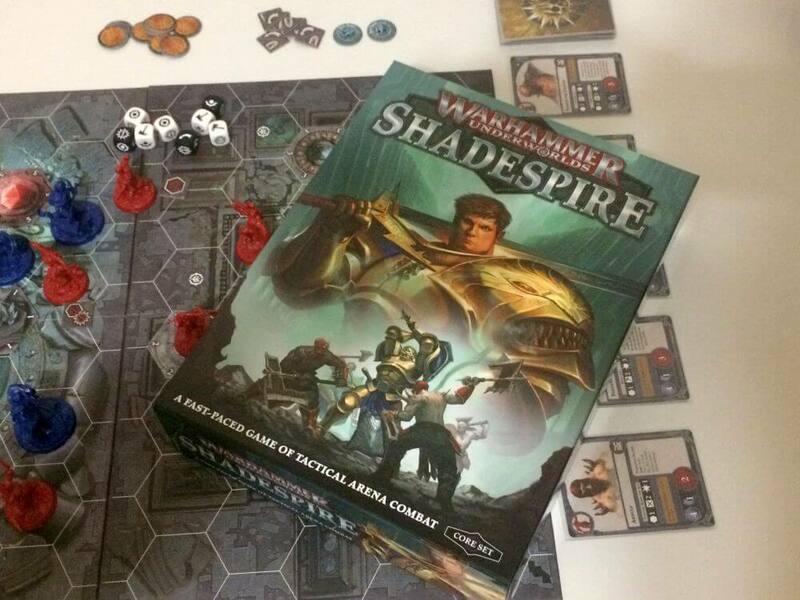 Each player will take control of a warband, with the core set containing Steelheart’s Champions (Stormcast Eternals) and Garrek’s Reavers (Bloodbound). 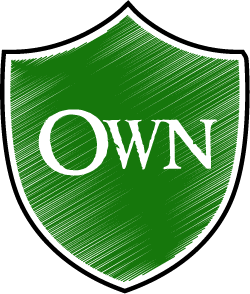 Each faction has a unique play style and attributes associated with the warband, different by numerous factors including movement speed, hit points, defensive attributes and wealth of player powers. In the core set, the Stormcast Eternals are heavily armoured, high damage dealing, yet slow warriors who flourish due to their defensive disciplines, where as the Bloodbound have high movement, with poor defense and average offensive capabilities who thrive where death abounds in battle. The Stormcast Eternal player will have 3 warriors in their warband whilst the Bloodbound have 5, each having unique leaders and unique supporting units that they can call upon for different tactics in battle. 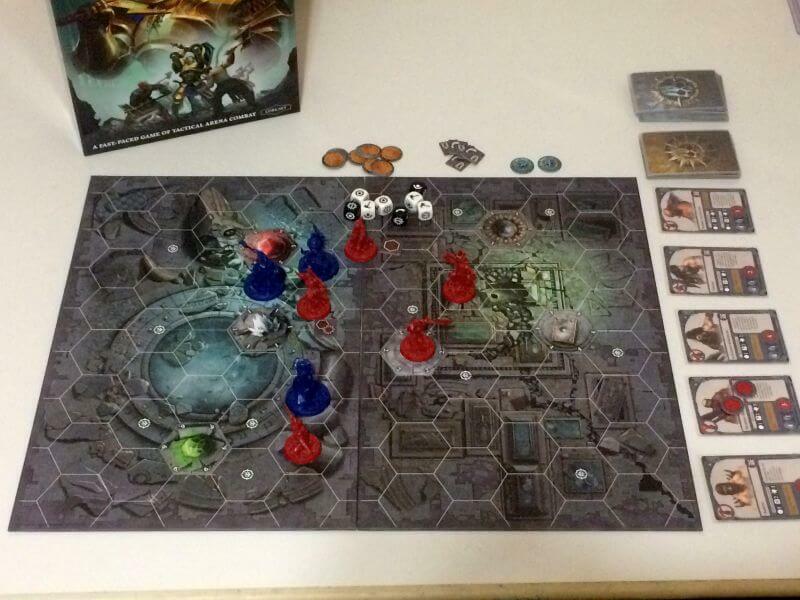 After rolling multiple times for initiative, players in that order will set the layout of 2 connecting boards, place objective markers on those boards and choose starting positions for their units before having a final initiative roll off to determine who will be the starting player. Objective cards and power cards are drawn and player will start the first of 3 phases consisting of 4 activations per player. 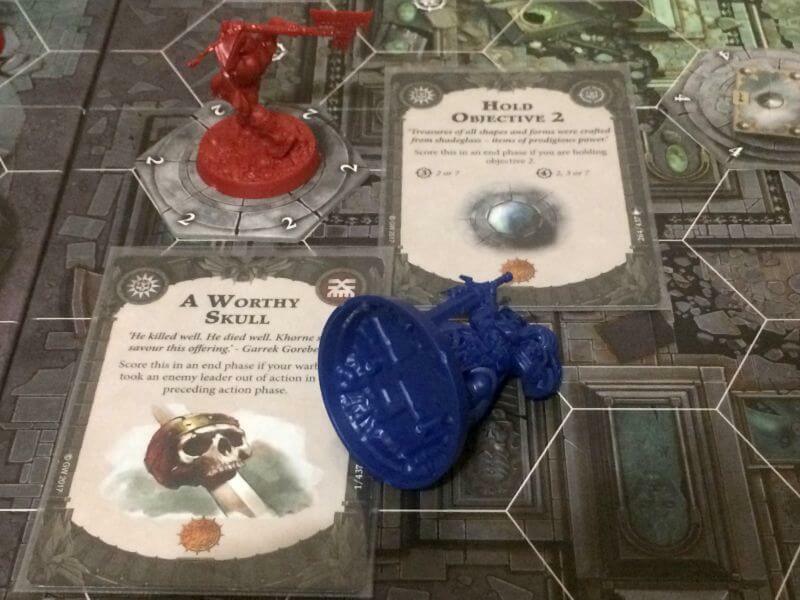 As a newcomer to miniature war gaming, the simple mechanisms yet deep strategies in a condensed time period are what truly makes Warhammer Underworlds: Shadespire shine in its accessibility. Using a hex based system instead of distance markers, players will need to battle it out to hold objectives, slaughter their enemies and fulfill hidden objectives in their hands all to earn the most glory at the end of the third phase. An activation allows you to perform one of the following actions: Move, Attack, Charge, Guard, Draw a Power Guard, Exchange an Objective Card or Pass. In a single phase each warrior can only perform a movement action or charge (movement and attacking in a single activation) making your initial choices for positional play crucial for the phase. Not only is this important for holding objectives (which earns you glory should you have that particular hex as one of your in-hand objective cards) but also for combat where support positioning plays a huge part in your chances for success in repelling attacks or slicing successfully into your opponents flesh to sever limbs. Attacking mechanics are simple roll offs of a number of d6s (six sided dice) equal to your player’s attack value versus the defending players number of d6s equivalent to their defense value. Attacking players are looking for the symbols that match the weapon used for the attack, while defenders are seeking the symbol showing their method of dodging. Both players are also looking for critical symbols in their rolls, as these will trump regular successful rolls outright. The dice also has sides indicating support and should either the attacker or defender have numerical advantage in adjacent supporting characters, these sides will also count as regular successes. Should attacks be successful, defenders take the full damage of the attack and attacking players can also push them back a hex from the direction of the attacking player. Taking a guard action fortifies your position, allowing your chosen warrior to count both types of defense die symbols (agility and armour) to both count as successes in defensive rolls for the rest of that phase. Exchanging defensive objective cards will allow you discard objectives that you think will be too difficult for you to score through the game or don’t match your current board positioning and draw new ones, while drawing power cards will give you increased options for playing powerful abilities and upgrades to characters that can turn the tide of battle in between activations. So after each activation action, players can choose to spend the power cards in their hands in the form of upgrade cards which grant permanent abilities or characteristics to your warriors, or instant cards which offer short terms benefits for the next activation. Some of these are unique to specific warbands and further cement their strengths or specific hero attributes and some will offer general bonuses that any leader would crave for his warriors to give them the edge. This is where there is some synergy with deckbuilding and miniatures gaming as players can craft their deck of powers that suit their play style so that they can rush upon their foes and revel in the bloodlust, or maintain strict defensive lines to minimise damage through card play. Upgrade cards cost earned glory points to play and can offer increased health or movement, fortify a warrior with Guard permanently or even grant additional attacking options with new weapons, whilst instance cards can inflict damage for extra die rolls in the next combat phase, prevent your warriors from getting wounded by their next attack or simply push opposing units from objectives should you choose. It’s a brilliant system that differentiates each persons army subtly from others and allows varying strategic choices for when to play your cards. After both players have passed or are unable to play additional power cards, it becomes the opponents activation. Each player will get four activations before you move to the end phase, where you’ll be able to score objective cards in your hand and earn glory should you meet its conditions, perform additional upgrades if able, and discard any unwanted power or objective cards and then draw back up to 5 and 3 respectively. Players will then roll off again to see who gets to choose initiative and then play will continue like this for 3 full phases (regardless of whether a full warband has been defeated) and then after final scoring whichever warband has the most glory is declared the victor. Cutting straight to the bone, there is a lot I love about Warhammer Underworlds: Shadespire. Whilst not their finest sculpts, the details on these Games Workshops miniatures are intricate from the severed head hannging from the hand of the Blood Reavers leader, through to the striking hammer emblems on the shoulders of the Stormcast Eternals. There is some assembly involved, but they are simple push to fit miniatures that probably take around 30 mins to assemble so it’s not a straight play out the box title. The board and cards are great quality and everything is a contained package that offers a quick a dirty skirmish game without being intimidating to beginners. For the budding hobbyist and painters, you’ll feel confident that you could perhaps paint your warband with the commitment only being 8 characters in total in the core set, versus the 20 + units of a regular Age of Sigmar army. Each character has a condition on their character card that will triggered them to become a stronger version of themselves, allowing you to flip over the character card and have them become inspired. For example, when Stormcast Eternal warriors roll armour or critical success in defense, that character will become inspired, whereas the Blood Reavers all become inspired whenever 3 warriors have been slain. Inspiration can turn the tied of battle, creating walking behemoths or lethal executioners depending on the character inspired. Its a beautiful system that further differentiates warbands as the battle become more intense and adds interesting battle developments that seem to happen organically through play. It’s not all about killing, and killing your opponents far from guarantees glory. 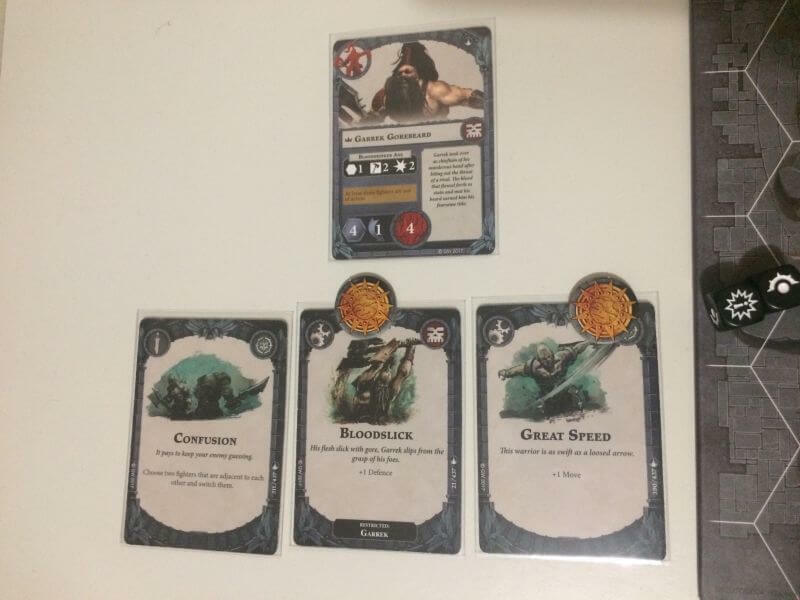 The objective cards steer battles in interesting ways, rewarding you for actions you wouldn’t normally contemplate, such as awarding glory for having 3 of your units commit to charge actions, rendering them vulnerable should their attacks fail. You could also have objectives for staying inside your own territory, or simply not taking damage for a round or even ensuring that many of your characters die in the name of Khorne (The Blood God). 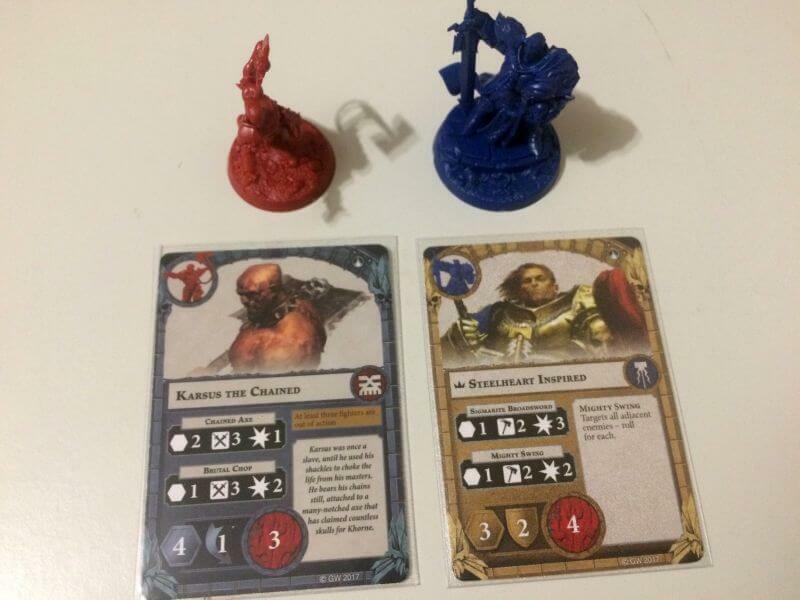 Your card draw affects your play style and these constantly shifting objectives create unique ways you’ll need to mange your warband in the short game time you have. 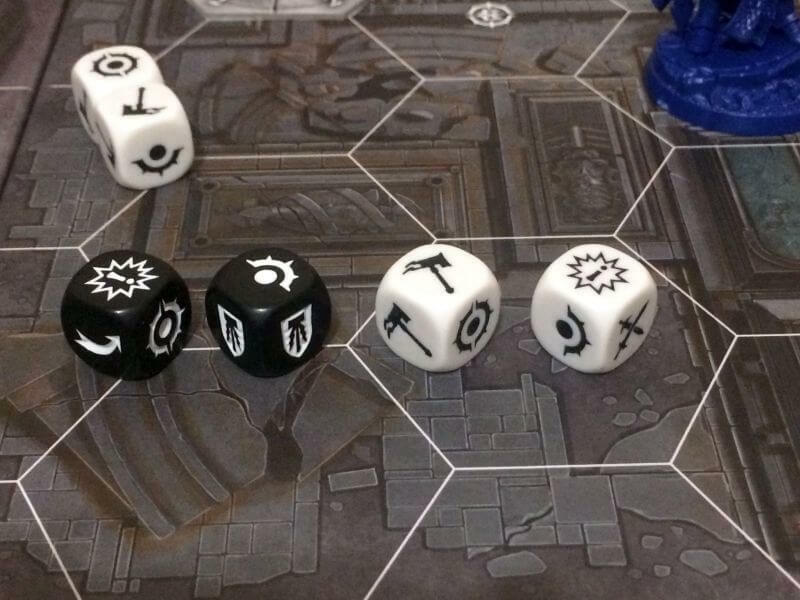 However for gamers who find themselves without the favor of the dice deities, Shadespire can be a bitter pill to swallow. The trumping factor of critical rolls will see attackers cursing 3 hammers only to lose because the single defense die rolled is a critical face, after they committed everything to that action. I’ve both dealt and been on the receiving end of rejection and it’s tough. Such is the nature of war gaming and with games that are under an hour, I feel it’s a small criticism but one that should be mentioned. You also wont find the depth that many other war games offer. Warhammer Underworlds: Shadespire is a quick to setup and pretty straight forward skirmish in small areas possibly lacking many of the deeper elements of war gaming. For those newer to the genre it offers an accessible option but the quick gameplay and limited unit numbers may leave dedicated players a feeling a little unsatisfied. Also Games Workshop, is it really huge cost to put a full set of dice for each warband in the box? But yes, from my experience in miniatures I have almost no complaints about this core box. It gives me a comfortable entry point to the genre where I feel I can compete, I feel that I could put my armies together myself and in the near future I can see myself painting my armies. It empowers me to play more war games and possibly in a year, this game may feel too light for my newly discovered war gamer, but with 2 additional factions (Orrukz and Skeletons) already available I can see myself investing in this game. The cherry on top, this core set can be found for around R700 with expansions coming in at Just over R300 per faction making it an affordable entry point. There are also plans for organised play, another area where this game will shine. So go try a copy now at your local store or play with a friend, whilst the local initial run of the core box is out of stock, by the time you read this I’m sure you can find a store that can trap you inside the glass battlefield of Shadespire. Warhammer Underworld: Shadespire may just be the game that opens my eyes to another aspect of our wonderful hobby. It's amazing the value that Games Workshop have created with this core set that has everything you need to play at less than a cost of a regular board game purchase cost. 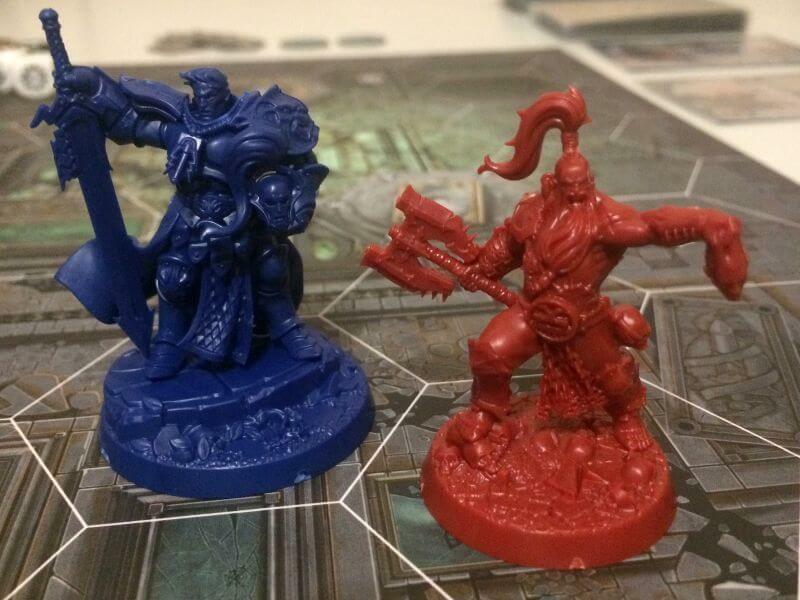 With expansions already out, organised play looking to be fantastic and a streamlined ruleset that will have beginners drawing blood within 15 minutes, Shadespire is a title that all board gamers even considering miniatures gaming should check out.